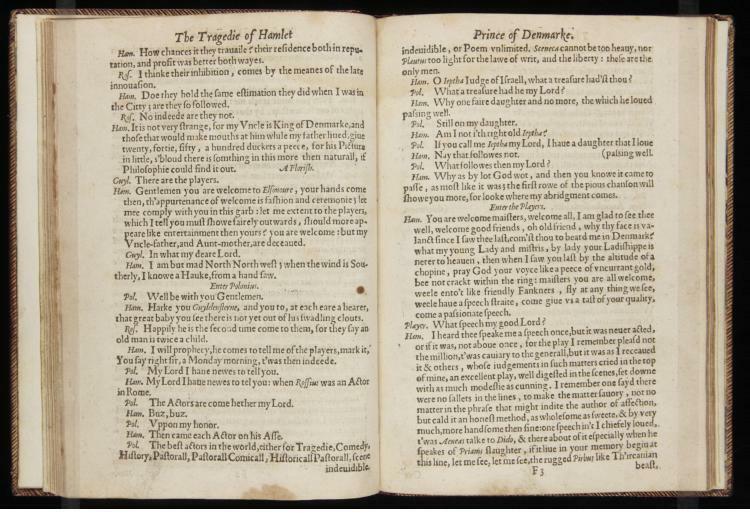 The second quarto of Hamlet, released a year after the first, comes closer to the version of the tragedy we think of today. Disparities between this version and the Folio, however, abide. 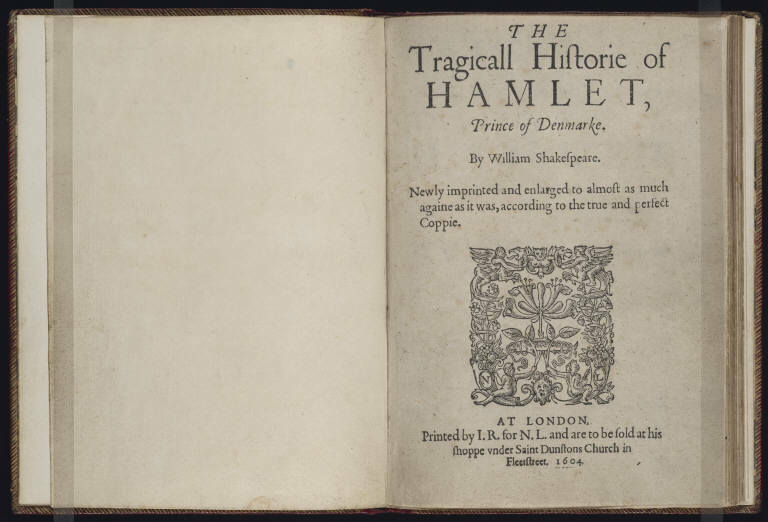 “O God,” Hamlet exclaims to his former classmates, Rosencrantz and Guildenstern, “I could be bounded in a nutshell and count myself king of infinite space—were it not that I have bad dreams” (2.2). The brief, early encounter between the prince and his Wittenburg friends—whom Claudius has recruited to spy on his vexed nephew—does much to communicate a modern sense of Hamlet the philosopher, ever ruminating upon the limits of his thought. 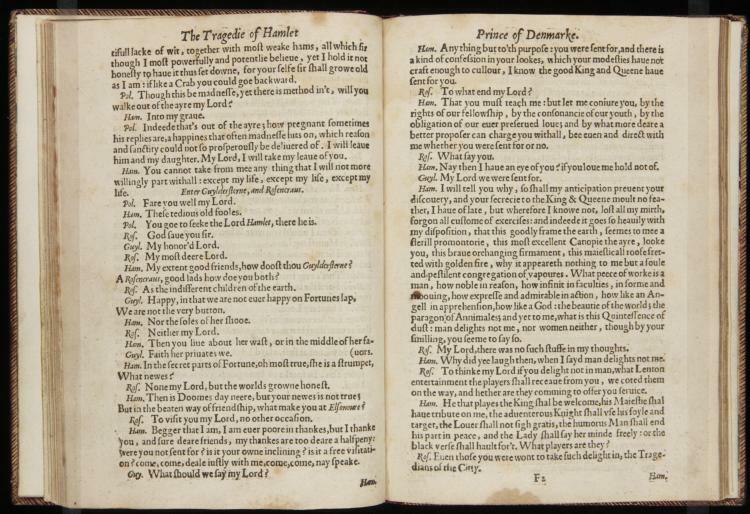 Only in the Folio version of the play, printed some nineteen years later, would the scene present itself. 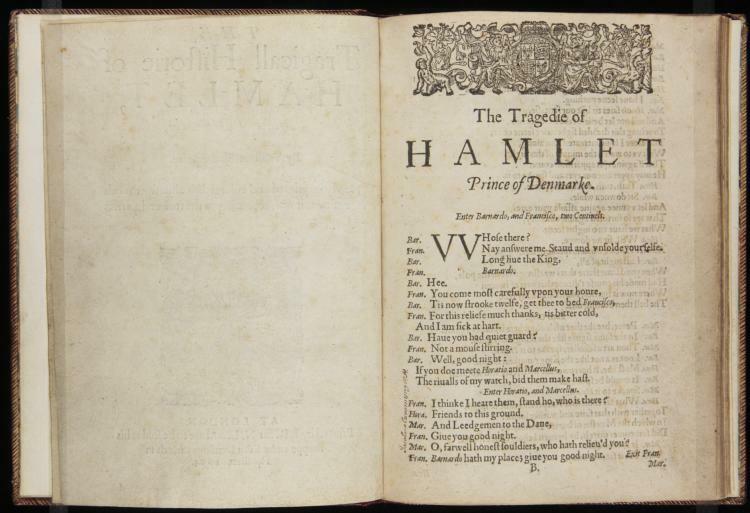 How might the addition of the scene change the way we think about Hamlet as a character? What about its absence?